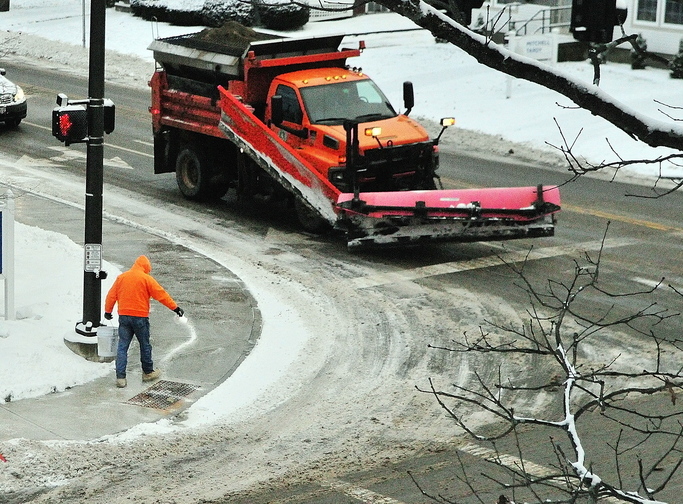 A person scatters salt on the sidewalk next to a City of Augusta snowplow at the corner of Capitol and Sewall Streets on Tuesday in Augusta. People were out across the region with all types of snow removal gear. The National Weather Service station at Augusta State Airport recorded a little under an inch of snow.